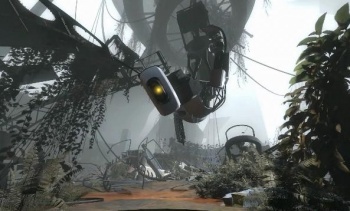 Valve has revealed how you can help GLaDOS and Portal 2 see an early release on Steam. GLaDOS's countdown for the Portal 2 ARG's "final test" has revealed that fans now have the power to help the game get released early on Steam. Playing the 13 games from the Steam Potato Sack bundle will eventually provide enough "computing power" to make it happen. The countdown website now shows visitors a message from GLaDOS, starting off with a nearly heartbreaking April Fools joke. That's GLaDOS for you. She then says she needs "raw computational power" to "speed up the reboot process." This could mean that people have to complete the secret objectives and Portal-themed levels added to the Potato Sack games to secure the early release of Portal 2. *Update* Apparently, the games just need to be played. After the message plays, the website redirects visitors here, where it shows the specific amount of "power" needed for Portal 2 to come out early and how many CPUs are currently helping out for each Potato Sack game. A timer reveals the projected launch for Portal 2 in hours, while a counter shows how many "potatoes" have been collected during the ARG. If you're confused, read this. While this appears to be part money grab, I think it's one that rewards fans handsomely. Anyone into the Portal mythos should enjoy the content added to the Potato Sack, which in certain cases such as Amnesia: The Dark Descent's is quite significant. Even if the game isn't released early, the Portal 2 ARG has been a fun ride, and an amazingly clever way to market a game.